Perfect for shares! 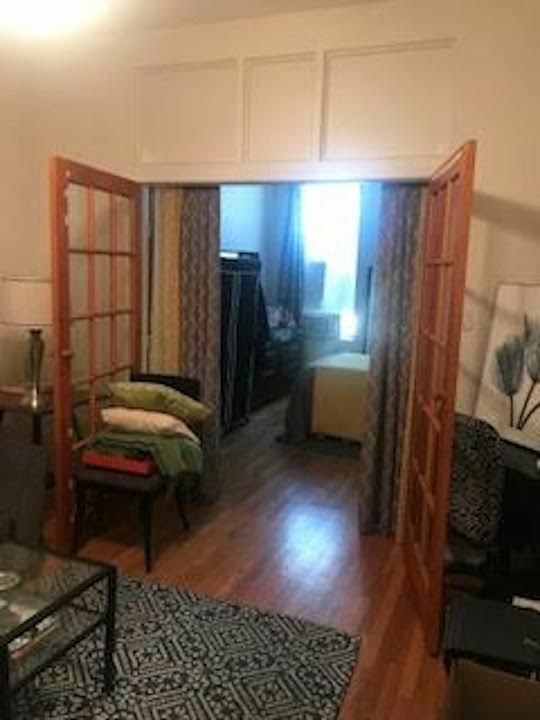 Large 5th Ave 2br off 3rd street! Steal of a deal! Sunny two-bedroom floor-thru in the heart of Park Slope with 2 big bedrooms on opposite sides of the apartment! If a washer dryer or dishwasher is not a deal breaker for you then this is certainly worth every penny. (BTW laundromat is directly across the street). The front bedroom has a large loft for storage- ideal for shares! This classic prewar unit features an open kitchen living room layout with hardwood floors, ceiling fans in each room, exposed brick throughout and good closet space. A few short blocks to the Union Street R subway and the best dining and shopping in Park slope right outside your door on 5th Avenue. Sorry, no dogs (1 cat is okay!) Available May 15th/June 1.